Cook the tortellini in salted boiling water and cool completely. Puree the pine nuts, garlic, arugula, basil, and olive oil until smooth. Season the mixture with salt and pepper. 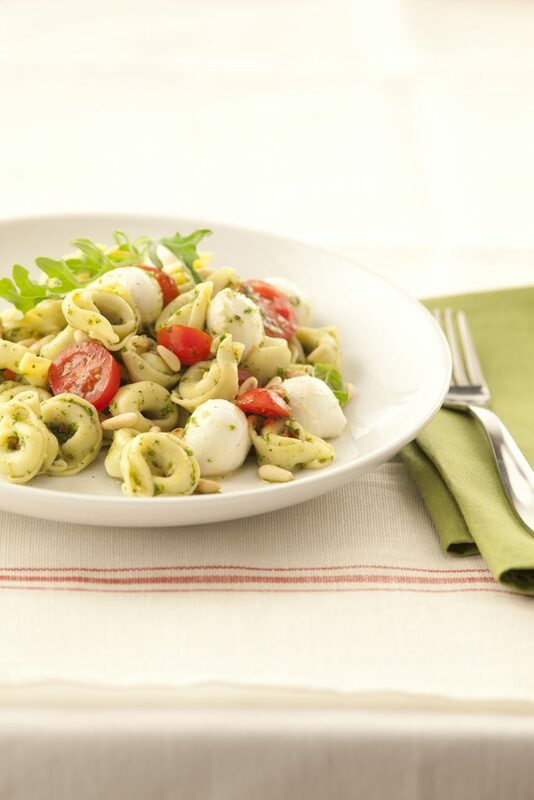 Combine Galbani Fresh Mozzarella, pesto, and pasta. Serve at room temperature or slightly chilled.